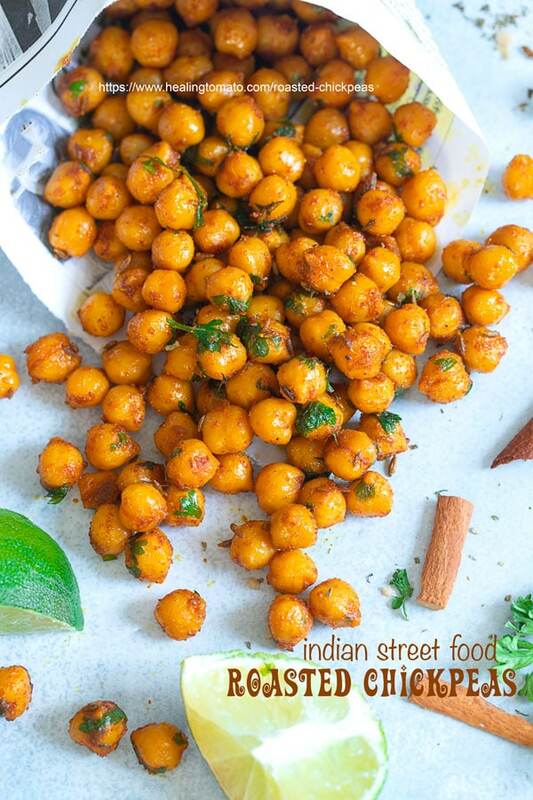 Have you tried Indian street food before? Its some of the most delicious food on the planet! 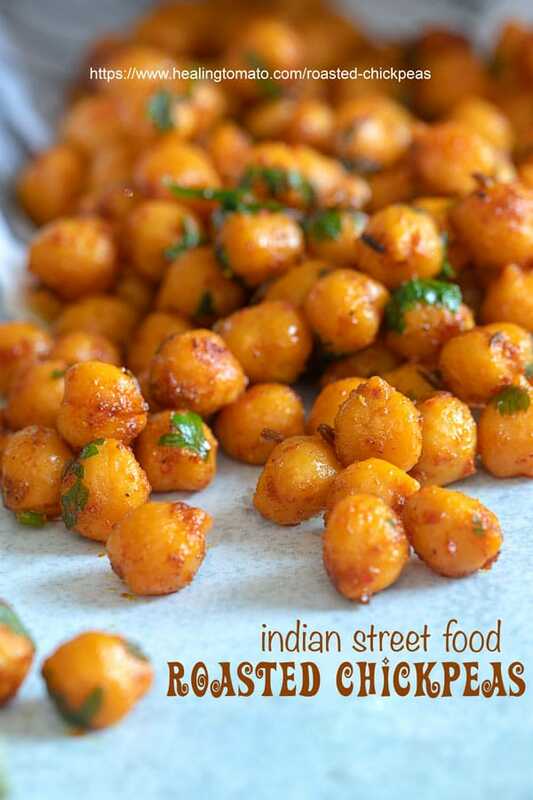 Some of the most delicious Indian recipes started out as very creative street food. Why is Indian Street Food served in newspapers? Some people I know are visiting India and I am envious of all the wonderful food they are getting to eat. It takes me back to my last visit to India which was almost 30 years ago. I have some memories of that trip, and not surprisingly, most of them have to do with the food! What I remember most about street food was that it was always served in newspapers! Newspapers could even fall apart right after the food is put into it! But, it was always served in newspapers! Personally, I LOVE eating street food out of newspapers because it just has a very authentic feel! – Use canned version to make them really quickly. 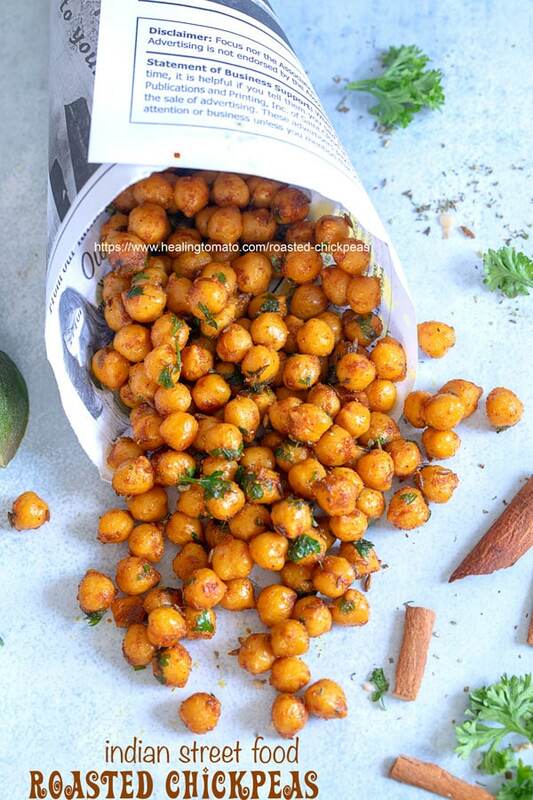 If you have time, you can soak about 1 cup of chickpeas overnight and then cook them in boiling water for about 2 hours. 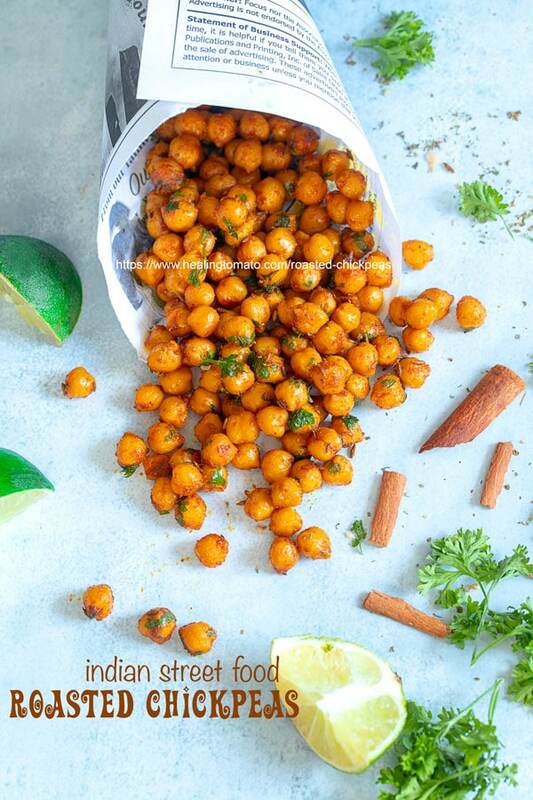 In the past, I have tried Tori Avey’s method of cooking dry chickpeas and they turned out perfectly! 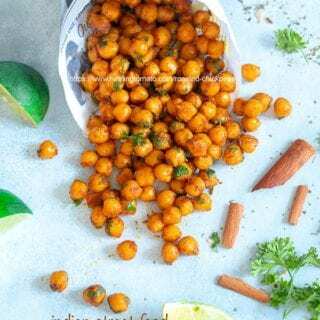 – The chickpeas are sometimes served with chopped red onions and (affiliate link) chaat masala. 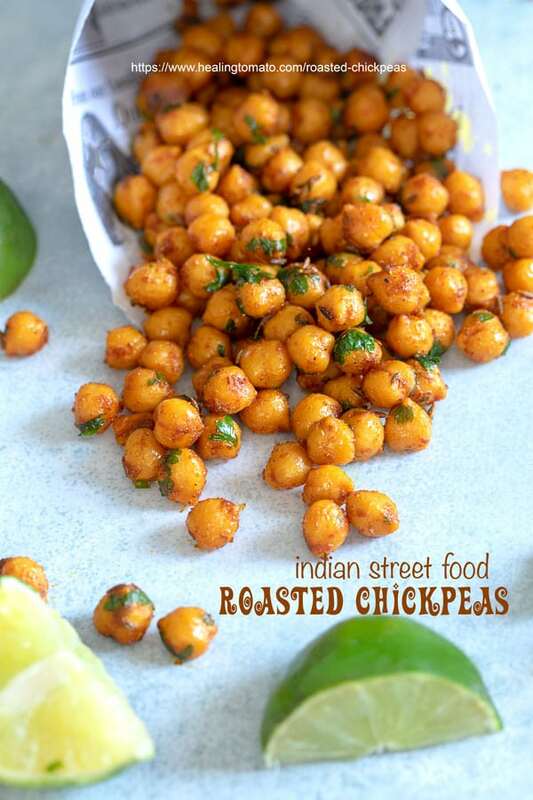 Here are a few more nuts and legumes that can easily be Indian street food. These delicious snack recipes are from other talented food bloggers who understand that healthy snacks for traveling tourists never go out of style! Slow Cooker Boiled Peanuts – I put cinnamon and cloves in the boiled peanuts which is a fun food to snack on while you are exploring the beautiful streets of India. 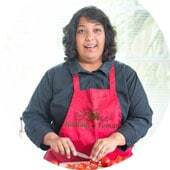 If you are a fan of Indian Food, check out more of my Indian vegan recipes and Indian vegetarian recipes. How many of them can I serve in newspapers?